The great thing about Investors in the Environment (iiE) accreditation is that it is suitable for organisations of all types and sizes – from sole traders through to large multi-site employers. iiE can help any business, whatever their industry and size. 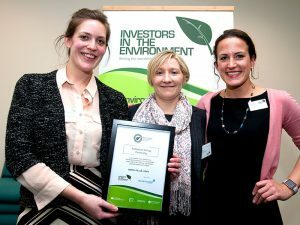 Investors in the Environment (iiE) was launched because we knew there was a need to work with businesses on various support levels, and that many companies wanted a simpler and more flexible alternative to ISO14001. In addition, iiE is a low-cost scheme, with prices starting from just £199+VAT annually. A real benefit of iiE is that the organisations we work with don’t need to have any prior experience or environmental expertise in-house. iiE was launched with the aim of helping businesses save money, implement good working practices, and reduce their impact on the environment. What is IIE How does it work? What are the benefits? © 2019 PECT. All rights reserved. Registered Charity No. 1023929.